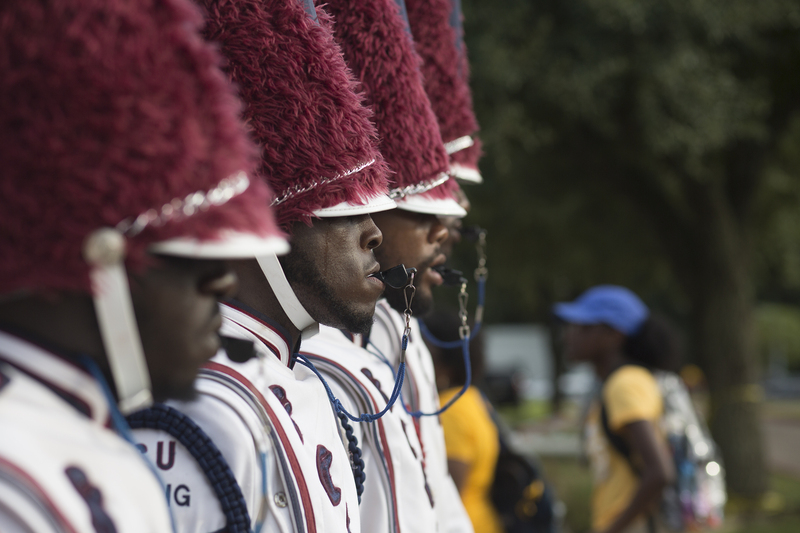 If you’ve never tailgated at an HBCU game, you haven’t really tailgated. 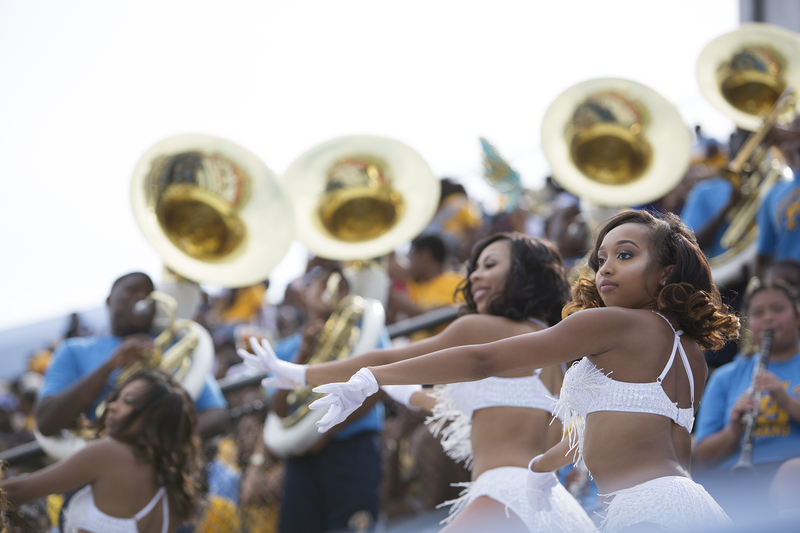 Folk showed up, and showed out, hours before the game – grilling, eating, commiserating and fellowshipping – eagerly anticipating the bands and their school’s dancers. 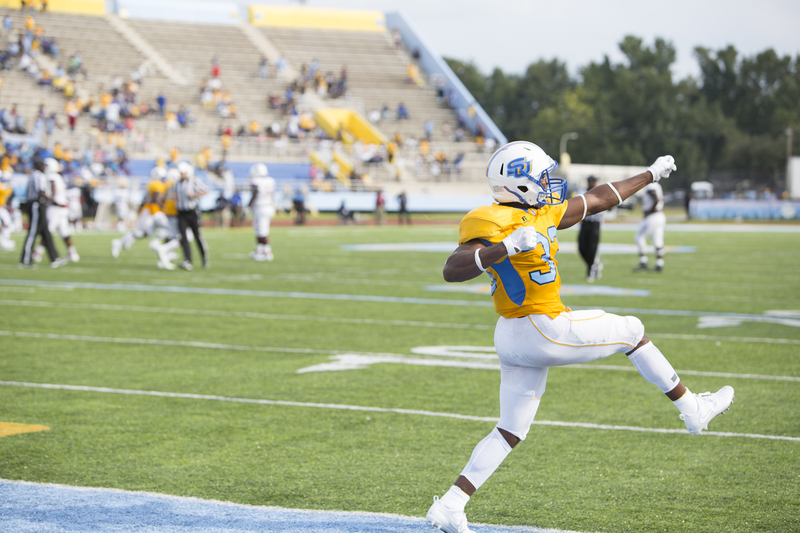 And, oh – there was a game, too – a matchup that would go down to the wire, with Southern University holding off South Carolina State 14-8 in the season-opener for both teams on Sunday in Baton Rouge, Louisiana. 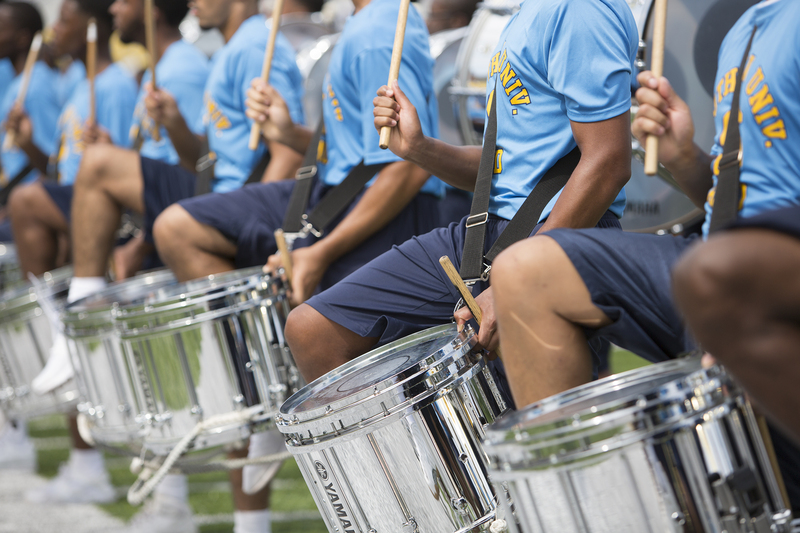 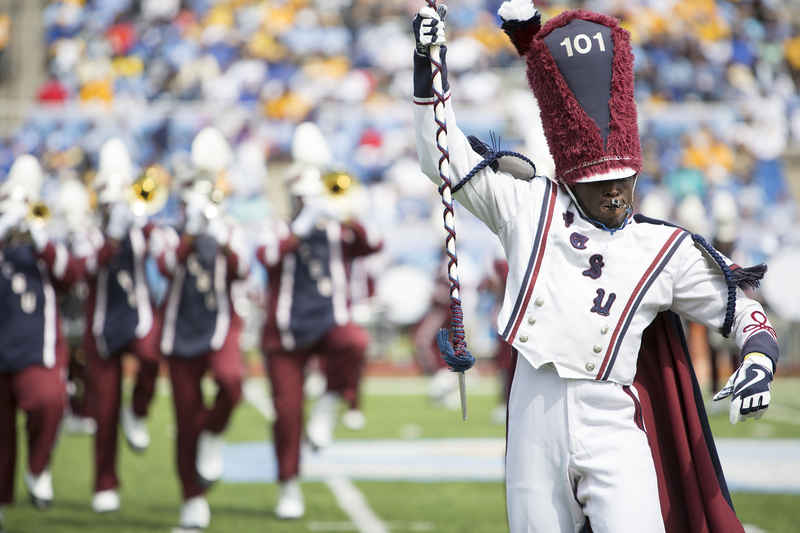 The smells and the sounds of HBCU football is intoxicating. 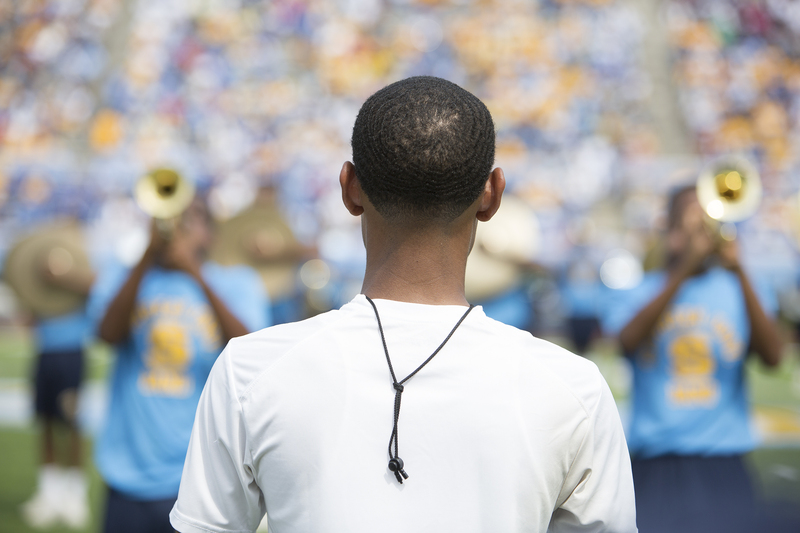 Yes, there’s trash-talking on both sides, but that’s part of it, too. 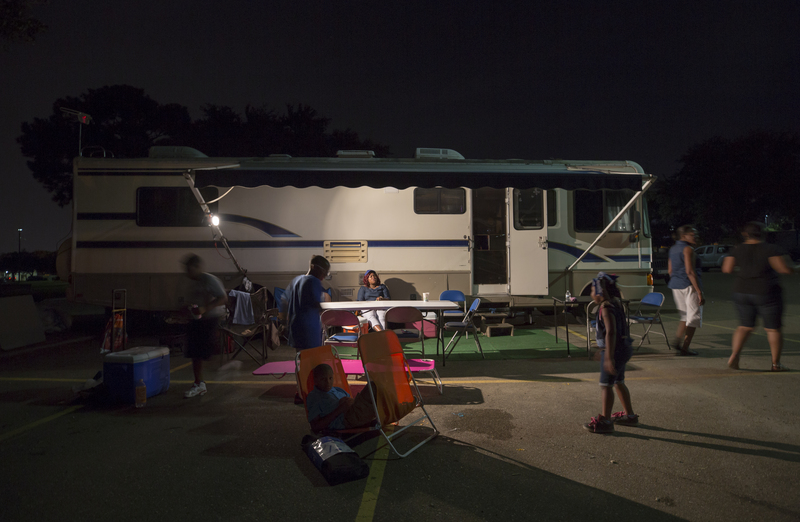 As people walk by and children chase each other between tents, there’s a familial feel that you can only understand if you see it up close. 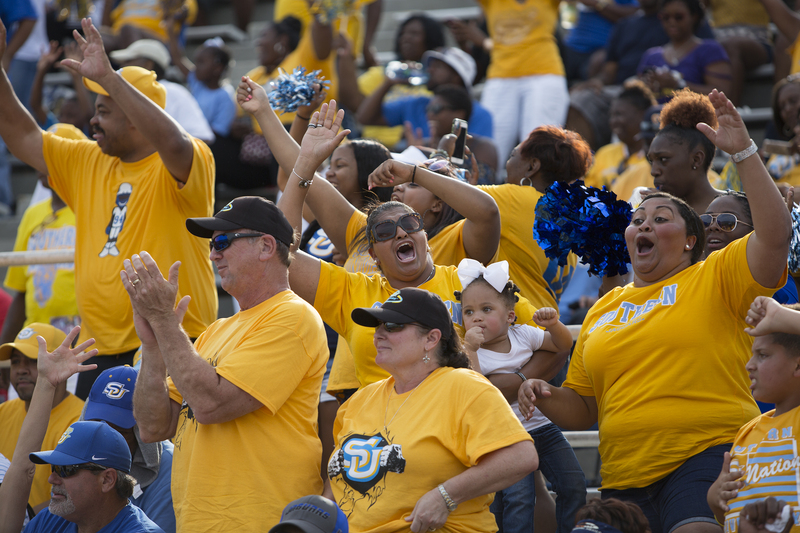 Fans of the Southern University Jaguars react to the defense stopping the South Carolina State Bulldogs on the last play of the game. 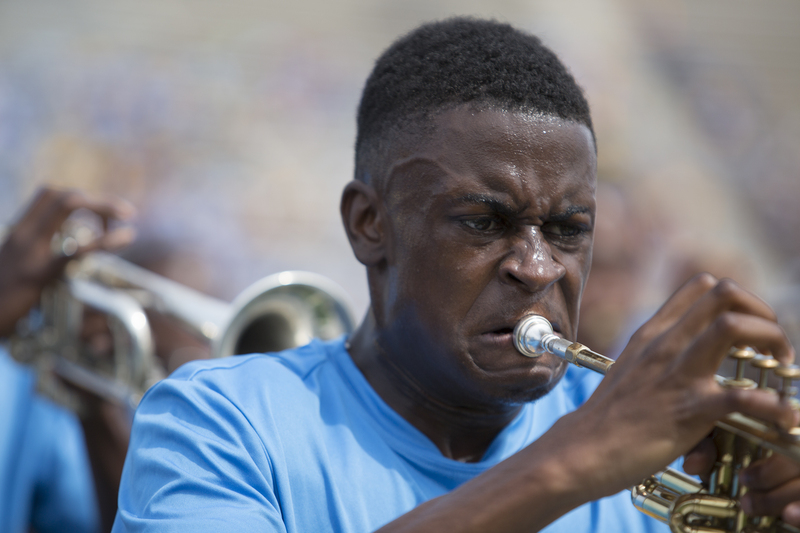 The Bulldogs could’ve tied the game with a touchdown. 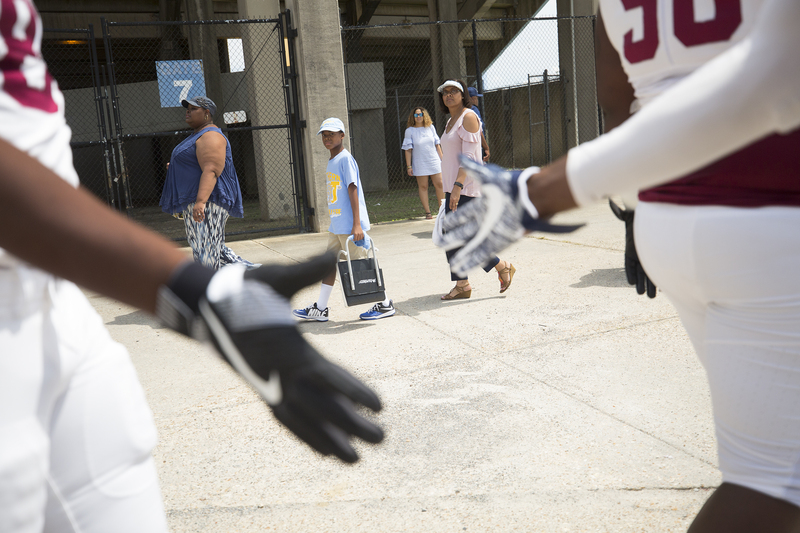 South Carolina State teammates shake hands as they head into the stadium to face Southern University. 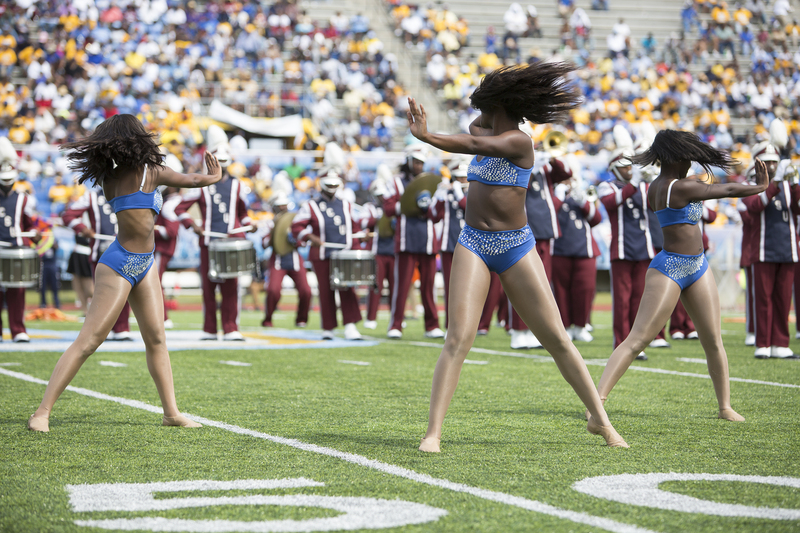 The handshakes weren’t enough, as the Jaguars outlasted the Bulldogs 14-8. 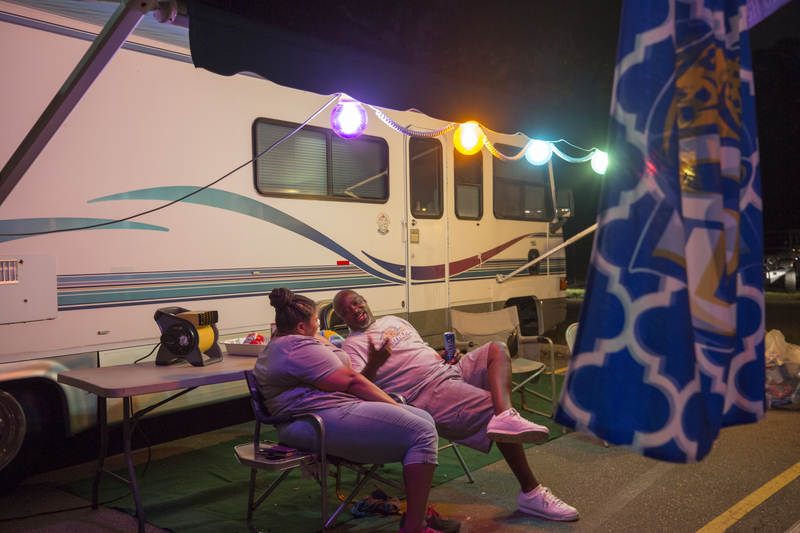 Kiva and Dawun Alford have been tailgating for about seven years. 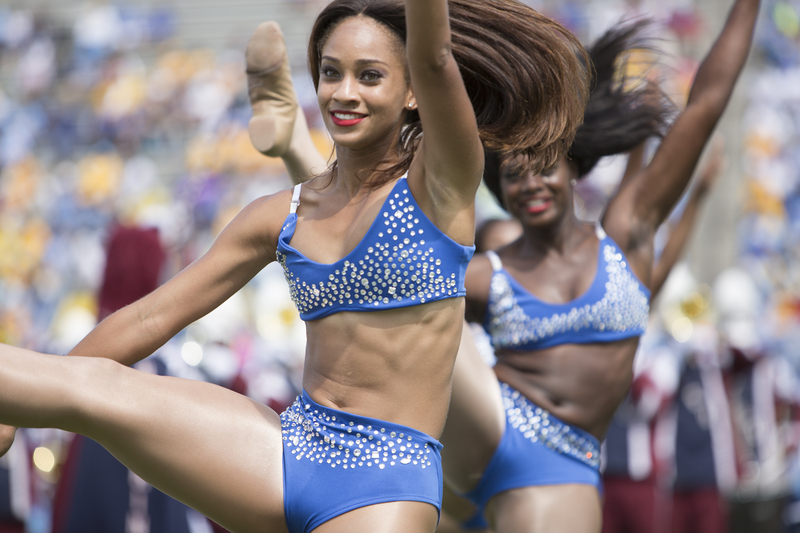 She is a Southern University graduate and their daughter currently attends. 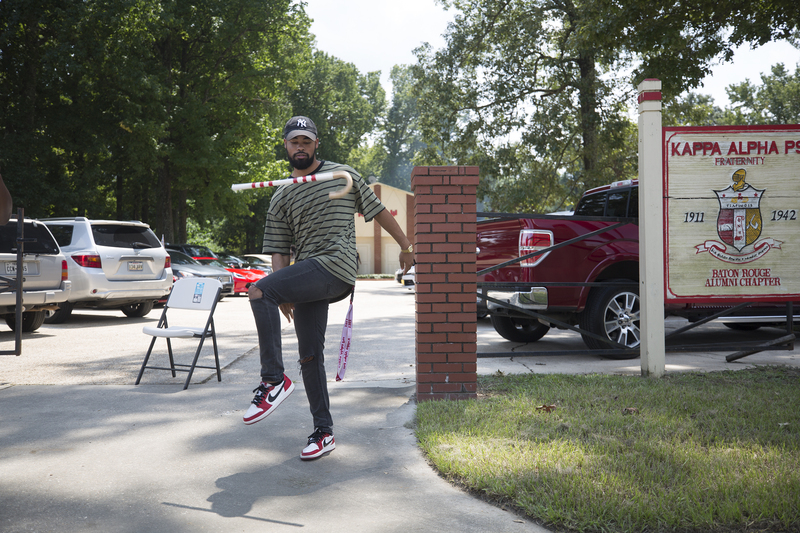 Well after the game, fans continued to tailgate. 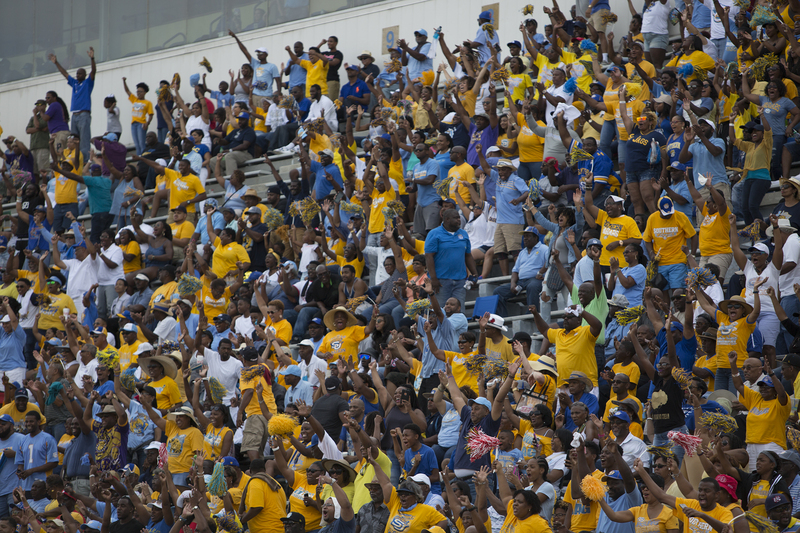 An employee of Southern University said because of the federal holiday, he expected some fans to not leave until the next day.